BOSTON and BUENOS AIRES, January 22, 2019 – Advent International, one of the largest and most experienced global private equity investors, today announced that it has signed a definitive agreement to acquire 51% of Prisma Medios de Pago, Argentina’s leading payments company, from a group of 14 Argentinian banks and Visa International. Prisma Medios de Pago’s existing shareholders will retain a 49% stake in the company. The transaction values 100% of Prisma Medios de Pago at US$1.42 billion. 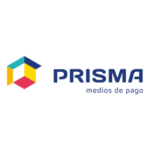 Prisma Medios de Pago is the leading payments company in Argentina and one of the largest in Latin America. Within Argentina, it is the No. 1 player in merchant acquiring, offering point-of-sale rental (LaPOS), e-commerce gateway (Decidir), transaction processing and other value-added services to all types of merchants throughout the country. The company is also the No.1 player in payments processing, No. 1 in electronic bill payments (Pagomiscuentas) and the No. 2 ATM operator (Banelco), serving major banks nationwide. Outside Argentina, Prisma Medios de Pago offers issuer and merchant acquiring processing services to clients in 14 countries across Latin America. Through its newest brand, TodoPago, the company is the No. 2 player in peer-to-peer (P2P) transactions, offering e-wallet, mobile point-of-sale (mPOS), Quick Response (QR) code payment solutions and e-commerce transactions to merchants. Prisma Medios de Pago is Advent International’s sixth investment in Argentina and eighth investment in the payments sector globally since 2008. The transaction was led by an Advent team comprising local market and payments sector experts across six offices, including São Paulo, Buenos Aires, Bogotá, Boston, New York and London. Advent International has significant investment experience in both Argentina and the payments sector globally. Since 1998, the firm has invested in six Argentinian businesses across a range of industries including financial services, business services, pharmaceuticals and consumer. Worldwide since 2008, Advent International has invested or committed US$3.8 billion in eight payments companies with a combined enterprise value of US$35 billion¹. In addition to Prisma Medios de Pago, these businesses include Monext (France), Vantiv (U.S.), Worldpay (U.K.), Nets (Denmark), Nexi (Italy), Concardis (Germany) and Clearent/FieldEdge (U.S.). The transaction is subject to customary closing conditions and is expected to be completed at the end of January 2019. Prisma Medios de Pago is an Argentinian company established in 2014 through the merger of Visa Argentina and Banelco and brings together more than 30 years of experience in the local payments market. The company provides payment technology solutions, enabling connections between financial institutions, merchants and consumers by developing high-quality and secure solutions across the whole payments value chain. Its main brands include LaPOS (POS terminals), Banelco (ATM network), Pagomiscuentas (e-bill payments), Decidir (gateway) and TodoPago (e-wallet, P2P, mPOS and QR payments). Prisma Medios de Pago operates in Argentina and 14 other countries across Latin America, processing more than 7 billion transactions annually and employing over 1,300 people. Founded in 1984, Advent International is one of the largest and most experienced global private equity investors. The firm has invested in over 340 private equity transactions in 41 countries and as of September 30, 2018, it had US$39 billion in assets under management. With offices on four continents, Advent has established a globally integrated team of over 190 investment professionals across North America, Europe, Latin America and Asia. The firm focuses on investments in five core sectors, including business and financial services; healthcare; industrial; retail, consumer and leisure; and technology, media and telecom. Advent International has been operating in Latin America for 22 years and has invested US$6.7 billion in more than 60 companies across the region. Today, its current Latin American portfolio companies employ over 100,000 people. With teams working locally in Argentina, Brazil, Colombia, Mexico and Peru, Advent is investing its sixth Latin American private equity fund, capitalized at US$2.1 billion.